The Ringling Land & Cattle Ranch is a highly productive ranch with excellent recreational amenities within easy reach of multiple appealing small towns and as well as Livingston and Bozeman. Here is a well-located, easily accessed large cattle, hay and grain ranch with a positive net income and abundant big game and upland bird wildlife. The 8,993± acre Ringling Land & Cattle Ranch lies two miles east of State Highway 89 and the Ringling Bar and is approximately 58 miles northeast of Bozeman and its commercial airport. Its 386± acres of irrigated and 710± acres of dryland crop ground are currently leased for grazing cattle and raising hay and small grains. The net income is positive year in and out. Four ponds, one of 100± surface acres in size, are tied together by eight miles of year-round streams. These same lands are a wildlife magnet. Elk, deer, antelope and Hungarian partridge abound. There is one three-bedroom home and a rustic one-room cabin as well as a large barn and sheds. The Ringling Land and Cattle Ranch lies mostly in a water drainage basin at the head of the Sixteenmile Creek watershed. This basin is filled with the snow melt off of the western slope of the Crazy Mountains – one of Montana’s most dramatic island mountain ranges. The ranch’s streams, wetlands and ponds mix with deep soils to form fertile, productive grazing and crop lands and a wildlife haven – equally hosting avian and ungulate species. It is surrounded by five mountain ranges but is mostly open and level. It lends itself to easy navigation but includes 1,000 feet of elevation gain from the lowlands along the creeks in the western side of the ranch up to the captivating “East Hogback” hills. About 25% of the ranch lies to the north over the watershed divide onto the foothills of the Castle Mountains and the headwaters of the Smith River. This “Coyote Butte” area is mostly sagebrush and foothill grasses -- mule deer and cattle country. The 700 foot-high grassy Coyote Butte dominates the landscape. The balance of the ranch is good strong grassland blessed with the stream and wetlands of the South Fork of the Smith River. Ringling Land & Cattle is located approximately 20 miles north of Wilsall and 20 miles south of White Sulphur Springs, along State Highway 89. This puts it also in the enviable position of being a 20-minute drive to the jet-capable airport at White Sulphur Springs, a 50-minute drive to Livingston and its jet-capable airport, and about a 70-minute drive to Bozeman. This route is also by way of Bridger Bowl Ski Area, which is only 40 minutes from the ranch. There are very few ranches of significant size and carrying capacity that can boast that they are only a 40-minute drive from a quality ski area – not to mention being within easy reach of two of Montana’s most desirable towns. 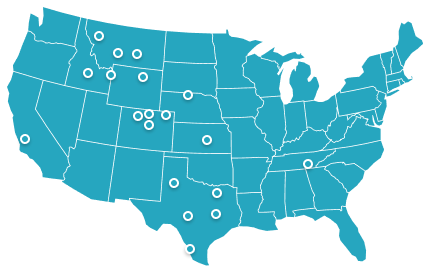 Bozeman’s airport is now the most active in Montana and offers seasonal non-stop flights to many of the largest cities in the U.S. such as Chicago, New York, Atlanta and a number of West Coast destinations. The Ringling Land & Cattle Ranch lies on top of the watershed divide of two mountain fed streams at the north end of the Crazy Mountains. From the ranch, Sixteenmile Creek flows westward into the Missouri River and the Smith River flows north, also eventually into the Missouri. This is not to mention the Shields River which rises just to the south and flows into the Yellowstone River near Livingston. These are all resected fisheries. The area is rarely visited by tourists but is well known by locals as one of the most breathtakingly beautiful parts of a state already known for its beauty. Fortunately, even though it lies an easy drive from sought-after population centers like Bozeman, it has not received the development pressure that dominates the Gallatin and Paradise valleys. It has remained, to a large extent, an area of good-sized farming and ranching operations in strong hands. The Ringling Bar is a popular destination steakhouse. The nearby towns of Wilsall and White Sulphur Springs are large enough to support churches, bars, gas stations, schools, and eating establishments, which means that locals have a comfortable place to gather, while also always having the option of driving into Bozeman or Livingston. The neighboring ranches are generally large and many have been in family hands since Montana was a territory. There is a strong sense of community in the trio of towns near the ranch. Ringling, Wilsall and White Sulphur Springs have historically been primarily ranching communities. In recent years with the increasing popularity of fly fishing and river floating, White Sulphur Springs has become something of a recreational mecca for people embarking on the 5-day float through the Smith River Canyon. 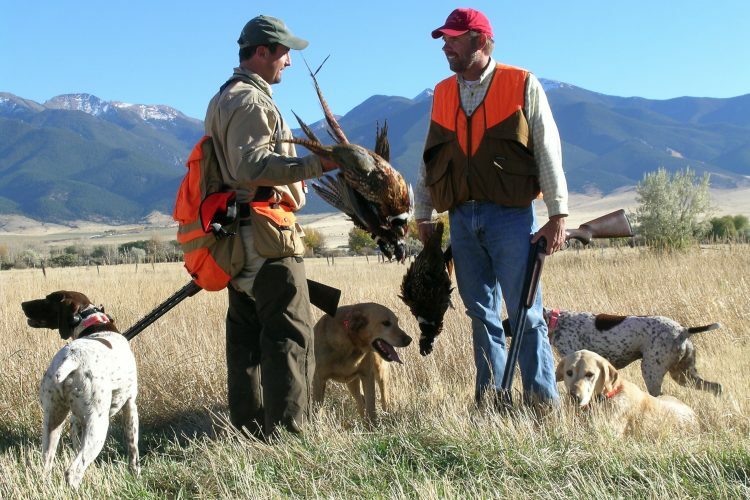 The area also offers big game and upland bird hunting and has begun to attract nonresident landowners as well as a growing interest from tourists passing through the area as they look for the most scenic route between Yellowstone and Glacier National Parks. 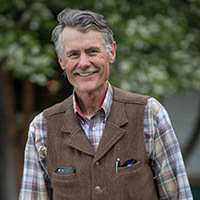 White Sulphur and surrounding ranch owners support a variety of local enterprises such as the local hospital which is critical in a community of this size and distance from other major towns. The Red Ants Pants Festival held every summer in a “cow pasture” just outside of town has featured such notable musicians as Lyle Lovett, Taj Mahal, Merle Haggard and Emmylou Harris. It is a fun-filled family style gathering complete with food, camping, and nonstop dancing. It draws people from all over the United States. The proceeds go to support the community. Wilsall is large enough to support churches, bars, gas stations, schools, and eating establishments, which means that locals have a comfortable place to gather while also always having the option of driving into Bozeman or Livingston. 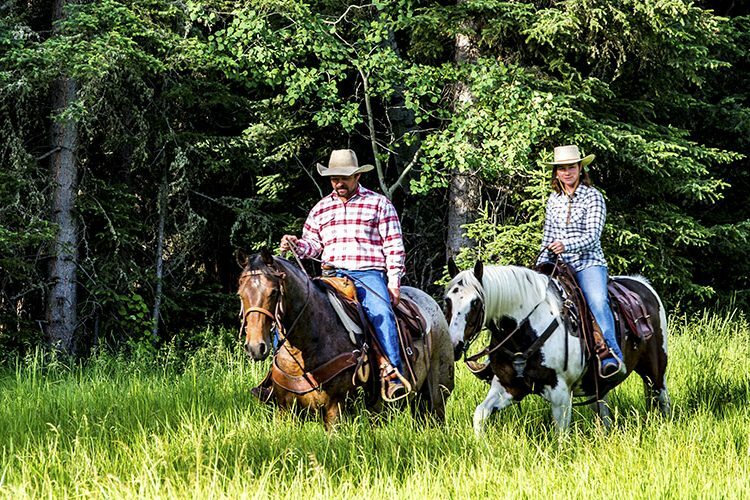 The neighboring ranches are generally large and many have been in family hands since Montana was a territory. Skiing is easily accessible from the ranch at Bridger Bowl Ski Area in about a 40-minute drive. Its location on the northwest corner of the Crazy Mountains, at elevations above 5,500 feet, puts the Ringling Land & Cattle Ranch in an area that receives maximum precipitation. A nearby weather station reports in excess of 20 inches, 50 percent above much of Montana east of the continental divide. This area is not known for the high winds that characterize the Yellowstone Valley to the south. The summer and fall seasons are lovely with warm but not hot days, and cool nights. The area gets a good percentage of its precipitation in the spring which is what makes it such an incredible “grass factory” during the grazing season. This area is known to produce some of the richest grasses in the state. They have the ability to produce huge calves and put big gains on yearling cattle. There is one residence on the ranch and a one one-room refurbished historic rustic cabin. New home building sites abound with choice features from among surface water, views, production and privacy. The main house, where the ranch overseer lives, was built originally in 1961, and since remodeled. It is one-story, of frame construction and sports a gable roof. It has three bedrooms, one bath and 1,750 square feet of living area. There is also a full unfinished basement of 1,600 sq. ft. It is heated by a central propane gas generated hot water radiant baseboard system. An historic rustic two-story bunkhouse was very recently remodeled. It has no plumbing but does have electricity and is heated by a wood-burning stove. It affords the visiting ranch owners and guests a “home on the range”. There is a huge classic western wooden horse barn with metal roof located at the headquarters in the Sixteenmile Creek lowlands. A metal equipment storage and shop building sits nearby. It was constructed in 1965 and is 31’x 96’ or 2,976 sq. ft. Additional useful farm and ranch improvements include eight metal grain bins and a set of metal pipe corrals. There are eight miles of live streams. There is one mile each of Sixteenmile Creek and the South Fork of the Smith River headwaters. Four and one-half miles of Woodson Creek and portions of Youngs and Durst Creeks also flow year-round through the ranch. There are four ponds on the ranch, two of which are permanent. The largest is Higgins Reservoir and measures over 100 surface acres. Hamen Reservoir is about 26 acres. The other two are ephemeral and of one and nine acres in size. The Ringling Land and Cattle Ranch is rich in water resources from the multiple live streams to its ponds, lakes and wetlands. It also controls good irrigation water rights from Sixteenmile, Woodson, Youngs and Durst Creeks. The ranch has 31 water rights, 13 of them for irrigation. Their seniority dates reach back as far as 1883, with five of them in the 1800’s. All the interest in minerals owned by seller will transfer to buyer upon sale of the ranch. 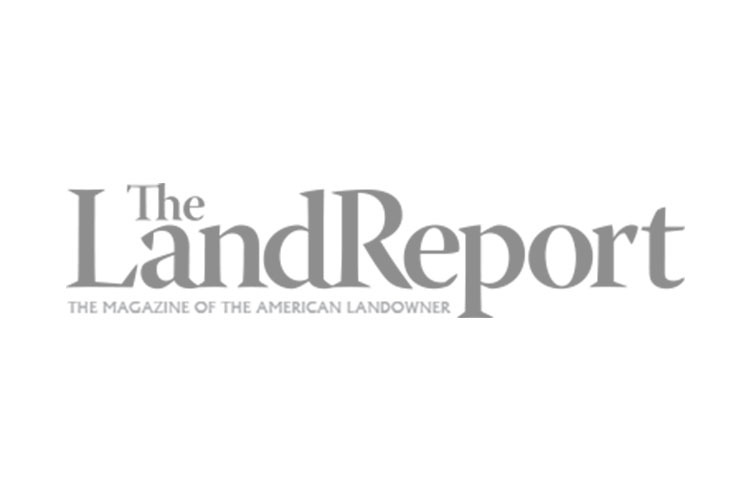 A minerals ownership report covering the majority of the ranch is available upon request. The 2017 property taxes were approximately $14,700. The streams and rivers have not been assessed and are not known for fishing though one would expect there to be at least small trout in them. The same holds for the reservoirs which are currently un-stocked. However, local old-timers remember Higgins Reservoir being good fishing in the past. The water resources are extensive and for those interested in fishing, this is an aspect of the ranch worth exploring. Antelope are everpresent. While they are a fraction of their legendary numbers just 10 years ago they appear to be rebounding from a regional die-off. One of the owners recalls, “We often had a thousand of them in the wheat fields” at that time. Whitetail deer populations are strong and the owners usually harvest two good bucks a year. Mule deer move out in the fall as the elk move in. The owners have seen some very large bull elk and have taken 25 bulls over the years. In late season the elk herd-up in the East Hogback hills in the hundreds. The Hungarian partridge population is strong as well. The owners have planted special bird-enhancing mixtures of grasses in food plots on the cropland field edges that are left un-harvested. Higgins Reservoir is great waterfowling until it freezes and two smaller reservoirs hold ducks as well. Serious trout fishing starts within 15 miles of the ranch in the Shields River. Serious downhill skiing and Olympic-class cross country are 40 miles down the highway. Lake fishing and summer water sports in four reservoirs are within 20 and 35 air miles. The Yellowstone River fishery is 44 miles and the Smith and Madison 50. The most famous stretch of the Missouri is 60 air miles. Within 24 road miles, one has access to hundreds of miles of backcountry hiking, horseback riding, hunting, skiing, snowmobiling and 4-wheeling. Currently, the ranch is leased to a neighboring landowner who farms and hays all the cropland and subleases the grazing to other neighbors. This arrangement leaves the owner free of all operational responsibilities and generates a positive net income. To accommodate the owners’ hunting interests, some of the cropland is left unharvested and the cattle leave the ranch in October. Under this arrangement, about 1,000 acres raise an average of 45-bushel wheat. Pivot irrigated alfalfa-grass hay is raised on 344± acres, while native “wild hay” is alternatively harvested or grazed on over 600 sub-irrigated acres. Between 500 and 700 mostly yearlings and sometimes pairs graze the ranch June through September.